Join Softtoe Entertainment for an evening of elegance filled with music, dancing, and entertainment. Inviting all, especially our Military, Veterans, DoD & Government Personnel, and Civilians! 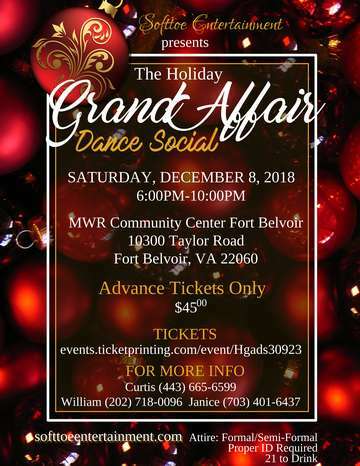 Bring your family, friends, co-workers, clubs and/or organizations for a night of festive fun and grandeur.